I finished reading this book during the transit in Brussels airport. Indeed a very inspiring read as recommended by several dharma brothers. 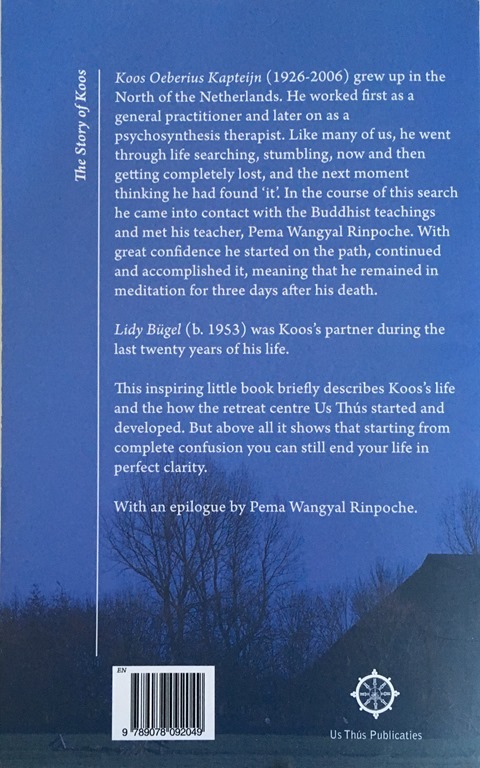 It’s about this Dutch Dr./Buddhist practitioner who was able to utilize his death as an ultimate chance to enter deep meditation for enlightenment–in his case, three days in this meditation after his breath stopped, i.e. what we called death. What is really inspiring is that he was not recognized as someone special or was sent to a monastery and started practicing since childhood. He went though a lot of up and downs in his life, especially suffering from many mental obstacles, and ended up having his own psychosynthesis practice. As his wife wrote,"…he was like all of us. Searching, stumbling meeting obstacles, creating obstacles, now and then completely lost…"What really amazed me was that he eventually died of cancer with either a lot of pain or a lot of morphine. Yet he managed to meditate. The power of practice, devotion and gurus’ blessings is indeed inconceivable.